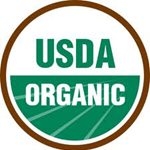 Buy Organic Mugwort from Maison Terre’s online store. Mugwort (Artemisia vulgaris) belongs to the family compositae, also known as Felon Herb, Cingulum Sancti Johannis, Sailor’s Tobacco, St. John’s Plant, Common Artemisia, & Chinese Moxa. Mugwort is native of Asia and Europe. It grows all over Europe, in isolated places and along deserted roads. The name Artemisia possibly came from Artemis, the Ancient Greek goddess of chastity and hunting. 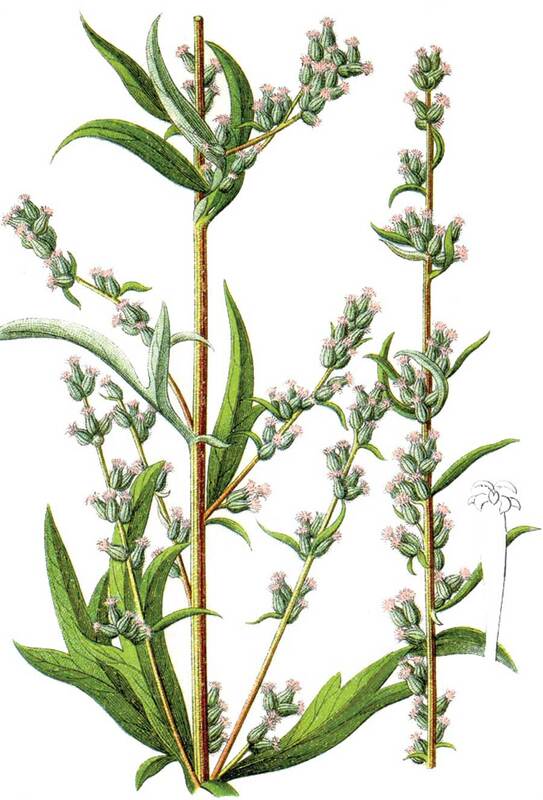 Mugwort is a tall-growing plant, grows up to 3 feet or more in height. The stems have a purplish color and angular in shape & the leaves are dark green and smooth. The plant blooms from July to September. 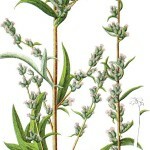 Before hops, Mugwort was used to enhance the taste of drinks, especially beer and also used as an herb to flavor food. 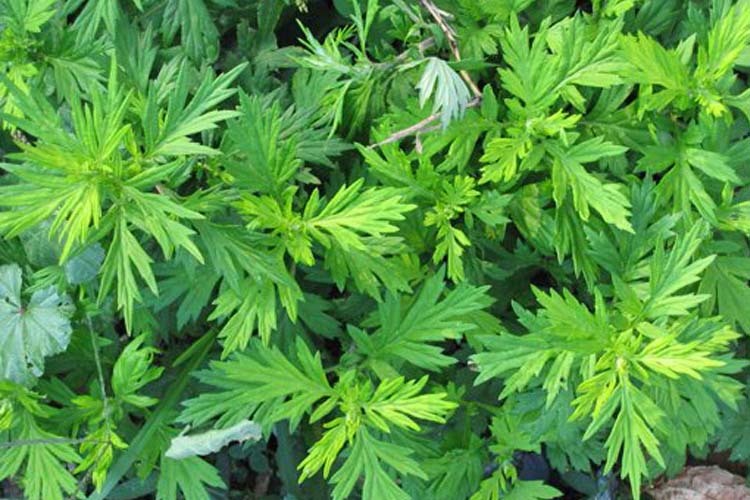 Mugwort is a bitter herb that relieves dyspepsia, travel sickness, stomach acidity, indigestion, menstrual pains, sleep disorder, worms and acute bowel and stomach pain. It also reduces weakness from a long illness. 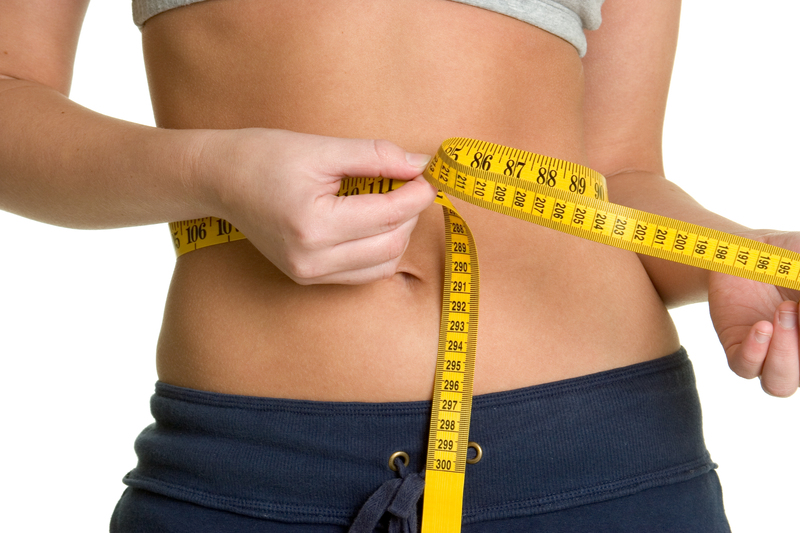 The herb is used for menstrual cramps and painful menopausal symptoms and it improves liver and gallbladder function. It is mixed with bath water as a soothing treatment for relief of aches in muscles and joints. Mugwort is used in variety of female complaints; it increases blood circulation in uterus and pelvic area and stimulates menstruation. 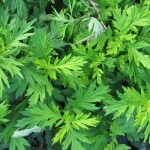 Mugwort is used to prevent poison oak rash. The leaves can be rubbed over the skin before getting into places infested with poison oak and also has a property to repel insects, especially moths. 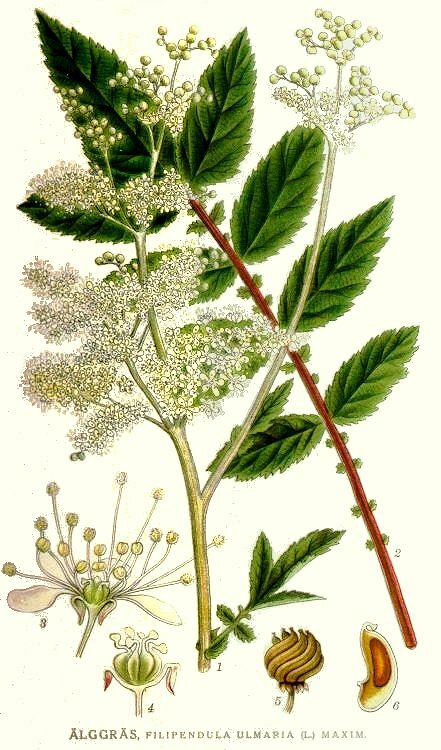 It is a good blood cleanser and used in small quantity in soups and salads.